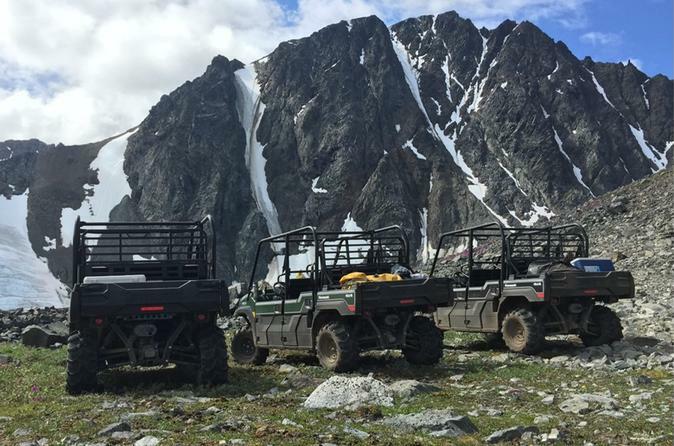 Experience the wilderness of Alaska when your cruise ship docks in Skagway by joining a 5-hour ATV tour. Your guide drives to Mineral Mountain where you go off-road on a rugged ride through a landscape of lakes, snow-covered peaks, and glaciers. Explore an alpine ridge and glacier, have lunch overlooking Lake Bennett, and keep an eye out for wildlife on a tour that is suitable for travelers who enjoy the outdoors. Includes a picnic lunch, transportation, and port pickup and drop-off.